This mid-range convertible laptop has all of the newest features that make it superior to others in its class. It has everything from a solid design to impressive battery life. 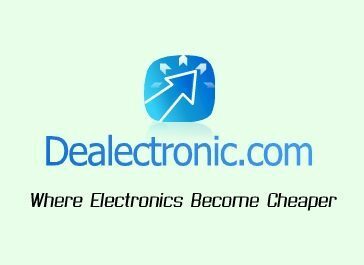 Anybody who is shopping for an inexpensive 2-in-1 tablet / laptop hybrid will find everything they’re looking for with the Acer Aspire R 14 R5-471T-50UD. Owners can fluidly move between four modes. There is no limit to the work that can be accomplished. He machine sports a nice exterior with classy diamond-cut edges. The hinge features a unique 360-degree design that allows the device to be used in a variety of modes: Tent, Tablet, Display, and Laptop. Thanks to the Zero Air Gap display design, users can expect better visuals in any setting – including outdoors. The touchscreen is full HD LED with a 1920 x 1080 resolution. The dark silver notebook weighs 4.07 pounds and measures 0.73 x 13.5 x 9.6 inches (HxWxD). While not as thin and light as a tablet, it’s still easy to carry around compared to other 14-inch notebooks and hybrids. Owners can flip the keyboard back out of the way whenever they don’t need to use it. The Acer Aspire R 14 R5-471T-50UD comes with a variety of useful interfaces and ports, including four USB ports (1 Type-C, 2 3.0 and 1 2.0) and HDMI. The USB-C can be used with the new, fast external hard drives and SSDs. A headset jack is located on the left, as well as a Kensington lock port. For the power port, a power supply adapter is included with a maximum wattage of 45-W. The four-cell Li-Ion battery offers 8 hours of runtime, although this can be extended to over 9 hours depending on which applications are running. The 6th gen. Intel Core processor delivers good processing power for this small device. Whether it’s used for entertainment, work, or any other reason, it should be able to handle most tasks effortlessly. In addition to a user-friendly touchscreen, the touchpad is well designed and supports all gestures accurately. Overall, the Acer Aspire R 14 R5-471T-50UD is a great choice of a convertible 2-in-1 tablet/laptop. It looks great, performs efficiently, and offers a lot of versatility in how it can be used. Using Acer coupons on top of sales means that you will save double the money! This notebook is already affordable enough when purchasing it from the online store. With Acer Aspire R 14 R5-471T-50UD discounts, you can get it even cheaper. 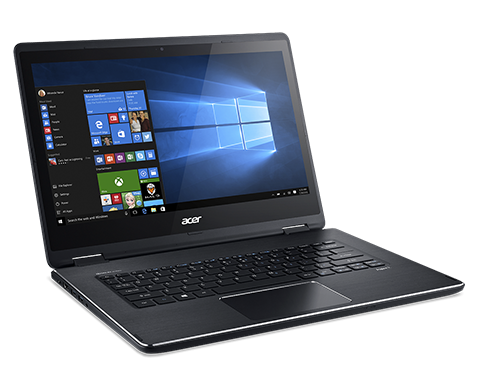 Posted in Acer Laptop Reviews, Acer PC Reviews, Laptop Reviews and tagged acer, acer aspire r 14 r5-471t-50ud, acer laptop, laptop.